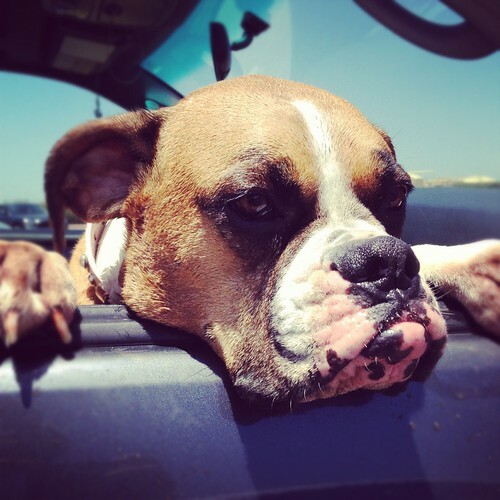 I went to dog beach with the usual gang–my sister, her husband, their two boxers, and my two kiddies. It was Hugo’s first time and I think he had the most fun. Lily was her usual weird self on the ride home and chose to face the seat instead of forward. And here’s Maggie. Totally over it. Hope you all had a lovely Monday! I’m off to finish some crochet pieces. 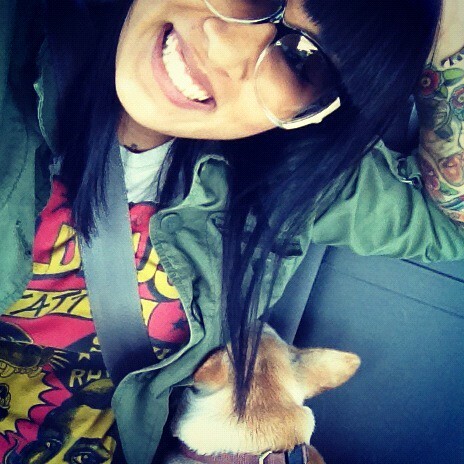 Lily’s never been car sick. I think she was just looking for a place to rest her head and face against the seat was most comfortable? ha, so strange. And oh no, maybe car seats will help them? What a blast! 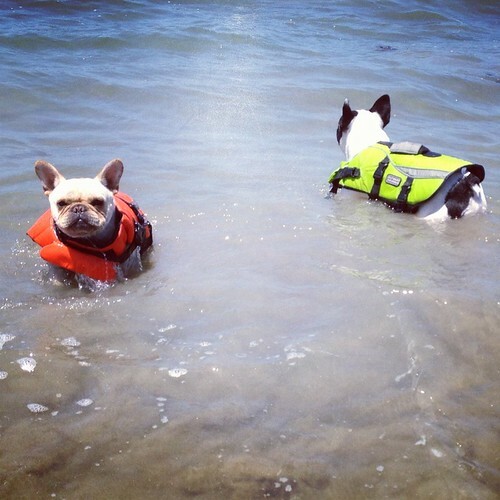 I love their little life jackets, haha! Makes them easier to spot too! oh my goodness they are cute. i wish there was a dog beach here. in nashville you can’t even take your dog to the lake. LAME. Hugo looks so serious in all the pictures… And Lily is so funny! Hugo Boss of the Plains is too distinguished for any sort of fun 😉 They’re both weirdos in the best way. Their little vests are sooo cute! We wanted to go but didn’t feel like dealing with parking. So jealous! It was pretty disgusting but so worth it! You would’ve seen me chase Hugo in and out of the water. He thought he was a dolphin. I wish we had a beach AND that my boy liked water. Ho hum, i’ll just have to live vicariously through your two cute bundles of weird! 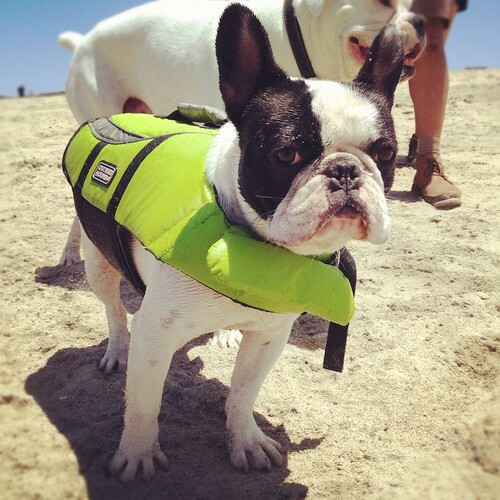 I’ve never heard of a frenchie not liking water! Both go crazy when I’m watering the lawn. Hahaha really? I think our frenchie is actually a grumpy old man trapped in a dogs body. It’s his goal in life to use as little energy as possible hence the aversion to swimming. Lazy bugger. That makes him even cuter. If possible. Yes! And then take lots of pictures! That “over it” pic is too hilarious.